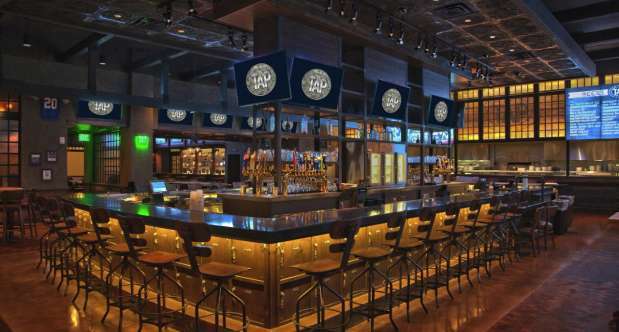 Introducing TAP at MGM Grand Detroit! Enjoy comfort food and pub classics such as the delicious TAP Classic Burger, savory wings and fried mac-n-cheese. TAP’s beverage menu features a year-round curated collection of more than 50 draught and bottled beers, including a selection of Michigan craft beer favorites and popular domestic and imported brews. TAP’s own specialty drink menu also features regional seasonal wines and spirits. 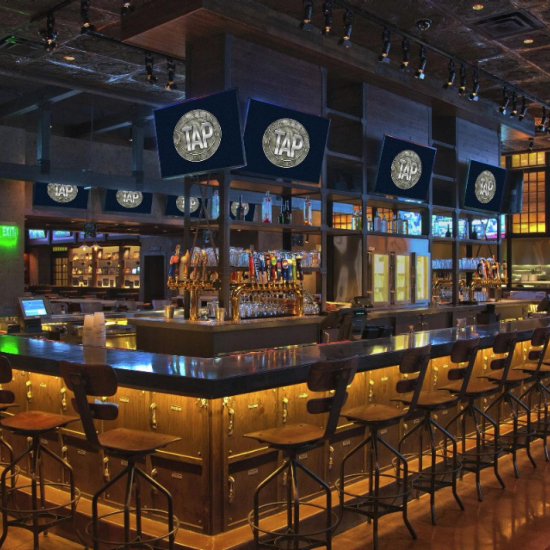 Guests can enjoy their favorite sports games on more than 40 HD flat-screen televisions in a setting that captures the heart of Detroit’s industrial age and celebrates some of the best moments in sports history with a dynamic collection of authentic sports memorabilia. Dine in or grab one to-go! 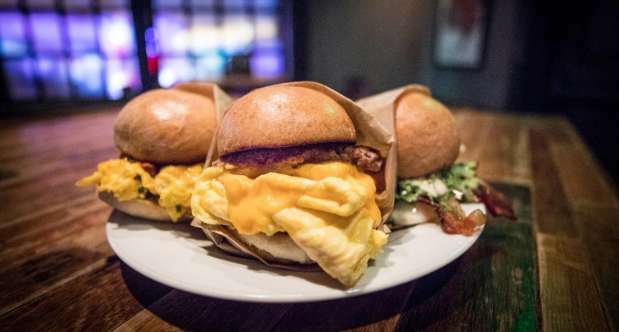 Choose from Egg BLT, Sausage or Vegetable, all served on a toasted brioche bun. Available from 7am to 9am. Enjoy a delicious 5 course meal complete with beer pairings from Founders Brewing Co. and Witch's Hat Brewing Co.
Dessert Course: Mini dessert duo: mini snicker bar, mini chocolate bread pudding with CBS coffee glaze. Egg Beaters or egg whites available upon request. 20% gratuity may be added to parties of 8 or more. No separate checks for parties of 8 or more. ***20% gratuity may be added to parties of 8 or more. No separate checks for parties of 8 or more. Two beef or ground turkey patties on a sesame seed bun. Includes pickle and french fries. Substitute onion rings for additional charge. Add fried egg, mushrooms, bacon for additional charges. TAP is located near the Hotel Valet entrance. *Family entrance is via the hotel lobby. Those under 21 are not permitted through casino entrance and will not be permitted in TAP after 10 pm. Enjoy comfort food and pub classics during your event.